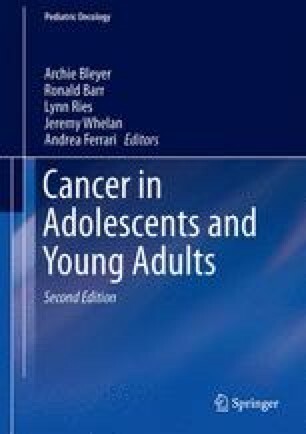 The adolescent and young adult (AYA) period is unique; individuals are faced with personal and developmental challenges, which are amplified by having a diagnosis of cancer. Understanding the unique challenges of AYA is critical and may be assessed through the use of clinically meaningful and psychometrically sound scales measuring the impact of cancer on health-related quality of life (HRQL). The purpose of this chapter is to identify patient-reported outcome (PRO) instruments used with AYA with cancer to develop a preliminary conceptual framework of the HRQL content deemed important for AYA. Findings from two previous systematic reviews and a search of Medline, PsycINFO, EMBASE, and CINAHL from January 2008 to December 2014 were conducted by our team to identify self-report cancer-specific PRO instruments for AYA. Twelve instruments developed for cancer patients and survivors were identified. A content analysis of 418 items from these instruments led to the identification of six major domains as follows: psychological, social, physical, general, sexual, and spiritual. Important differences in content were noted between PRO instruments designed for pediatric patients versus young adults. Specifically, pediatric tools lacked items to measure spirituality, goal setting/future plans, and sexual and reproductive health, while instruments designed specifically for AYA tended to measure the breadth of concerns of AYA. Using the most appropriate PRO instrument in clinical research and/or practice is crucial. Therefore, in selecting a PRO instrument to measure the HRQL of AYA, it is important to carefully consider how an instrument was developed and whether its content will appropriately answer the research question or clinical evaluative purpose.